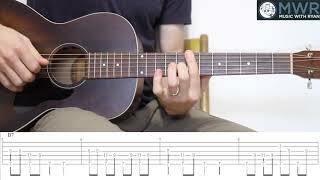 In this lesson we'll take a look at a fingerstyle arrangement I'm calling 'Jumping Fingerstyle Blues in E.' We'll be using a handful of different chord shapes, chord changes, and a driving bass line. This is a great lesson if you're looking to improve your fingerstyle chops. This lesson sits at an intermediate to advanced level. We'll work all over the fretboard to help give you a good idea of how you can play licks while using the thumb as your steady bass line. Have a listen below!